Applegate Home Improvements - Facias, doors and conservatories. Applegate Home Improvements – Roofline. With today’s unpredictable weather, it is important to keep your Hampshire, Surrey and Berkshire homes protected from leaky gutters, rotten wall cladding and structural damage. 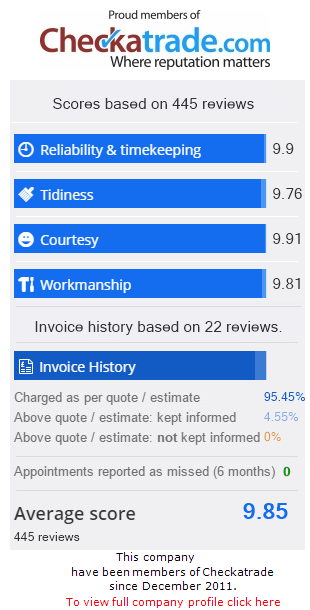 Here at Applegate Home Improvements we can guarantee with our uPVC Roofline products there will be no more flaking, rotting wood or the effects of water damage. 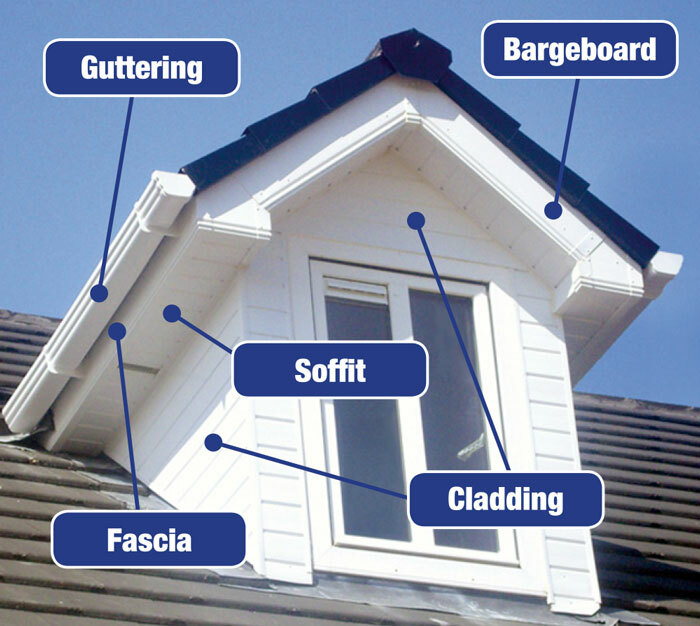 Fascias – Fascia boards are the uPVC boards which run in parallel with your roof tiles enabling the fixing of your guttering, you’ll see examples of our fascia and soffit work throughout Hampshire, Berkshire and Surrey. They are low maintenance and won’t rot or peel! Over fascia ventilation is our recommended method of ventilating the roof space as it is concealed underneath the tiles, as it won’t show the dirt in a few years. We securely fix an over fascia ventilator to the top of the fascia board, providing a continuous 10mm or 25mm air path as required. We don’t recommend that you cap over the old rotting wooden Fascias, in the short term this is a cheap option unfortunately over time the problem will only get worse, as the rotting timber will continue to deteriorate underneath. Eventually the nails will become loose, leaving your fascias exposed, unsecured and your property not properly protected. Soffits – Soffit boards are the material forming a ceiling from the top of an exterior house wall to the outer edge of the roof. These are nailed to the underside of the roof timbers before fitting the Fascia and bargeboards, not every property has a soffit; some older properties have ‘Open Eaves’. Bargeboards – Bargeboards are fascia boards that go up towards the roof in line with your rafters, they have tiles or under cloaking hanging from them. Applegate Home Improvements can supply and fit fascia, soffits and bargeboards in a choice of two colours, white or brown. All boards are top quality and are 18mm thick, ensuring stability. We fix these to the end of your rafters and replace any rotten wood you may have. Guttering – Applegate Home Improvements can advise you on all your guttering needs in Hampshire, Surrey and Berkshire. We supply guttering in any colour. We can supply and fit round guttering, square guttering and classic square guttering. If you need a free quote on some guttering for your house or bungalow just give us a call. We also supply and fit extras like hoppers, industrial guttering and down pipes. We will gladly give you a free quotation and we operate a no deposit until your satisfied policy. Cladding – uPVC Cladding provides a weather resistant layer that helps to protect the exterior of the building and enhances the overall appearance of your property. It is available in several different colours and styles, its low maintenance and one of the most effective ways to completely transform, renovate and modernise any property. It’s an ideal replacement for traditional cladding and helps improve insulation. We were extremely pleased with the quality of service, good communication and our development was completed on time and budget. I would definitely recommend this Company for all your glazing needs.